Investors have short-term memories and are reluctant to change, which is why so many cling to the stock market, even when it’s on a downward trend, or overdue for a correction. If you have lost confidence in the market or are simply looking for WHERE you can invest OUTSIDE of the stock market—safely and profitably—you’re not alone. “Already made up my mind.”They aren’t open-minded to try something new, even if they are unsatisfied with their current strategy. “Risk equals reward.”People mistakenly believe that the stock market roller coaster ride is required if they want to earn a good rate of return in the long run. They’ve been well-conditioned by Wall Street, banks, our government, and financial gurus to believe this! “You don’t know what you don’t know.”Some investors just aren’t aware of other options. They lack the knowledge, confidence, and guidance to seek better alternatives. Inertia. Sometimes, people have educated themselves and want to try alternatives, but it’s easier to put it on your “to do later” list and convince yourself that the sky really isn’t falling (at least not yet), so why not just avoid the topic with your planner, spouse, parents or friends who aren’t as open minded as you a little while longer? We say, “neither of the above!” Stocks and mutual funds ultimately rely on speculation, and bonds (depending on if you’re talking high quality bonds or junk bonds) range from “safe with weak returns” to “risky with fair returns”. 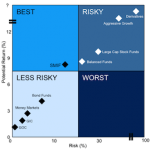 Are you really stuck between high risk and low returns, as typical financial planning would have you believe? Investments that are now considered “alternative” (because they are not correlated to the stock market) have been helping people build wealth for decades, even centuries before the financial planning industry even existed. We never want to have to explain to our clients why they lost money! For this reason, we only recommend assets which offer protections against loss of principal, and non-correlated investments that don’t rise and fall along with the stock market. Below we list some of our favorite investments not correlated to the stock market. These investments have generated healthy single digit and low double digit returns for clients, without the roller-coaster ride of stocks. For those looking for excellent asset growth with minimal risk and no correlation to the stock market, life settlements are a very attractive option, offering investors a way to participate in the secondary market for life insurance policies. Just as real estate deeds of trust can be bought and sold, so life insurance policies and the assets they represent are bought and sold on the secondary market. Life insurance has been considered an asset class since a Supreme Court ruling in 1911 judged that life insurance policies are private property that can be assigned or sold to others at the will of the policy owner. Life settlements invest in life insurance by purchasing policies that have become unwanted, unneeded, or unaffordable to elderly policyholders. In this way, they represent a true “win-win” scenario. Policyowners nearing life expectancy are able to turn a death benefit into a living benefit they can use now. At the same time, investors are able to purchase an asset with a guaranteed future value, rather than grow an asset with an unknown, perhaps even lower future value. Returns are non-correlated. Life settlement investments are not correlated to interest rates, housing prices, stock prices, political events, or any outside influences. Very limited downside risk.Life settlements are based on actuarial math, not stock market speculation. As policies are purchased for a discount and costs such as future premiums are factored in, losses are quite unusual. You’re in good company.Results of course vary and are not guaranteed. However, Warren Buffett from Berkshire Hathaway and Bill Gates, along with major institutional investors, have invested hundreds of millions in life settlement portfolios. High Safety.Life insurance companies are among the strongest financial institutions in existence. Only seasoned policies are purchased for life settlements, and death benefits are always paid when the time comes. Formerly for institutional investors only, there are now options for accredited investors (with a net worth of $1 million and cash flow of $200k or $300k for couples) to purchase private equity funds that hold life settlements. As with any investment, it is important to understand how it works and who it is best suited for. 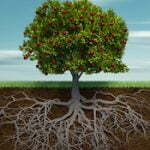 Life settlements are not liquid, and the investment time frame and exact rate of return fluctuate. Required minimum investment with our life settlement partners currently begins at $15,000 to $25,000, and money is typically invested for 7-10 years. Also known as “hard money loans,” sometimes they are “rehab loans” as well (though not always). Bridge loans provide temporary financing (typically 6 months to 3 years) at higher-than-typical interest rates. Real estate investors are eager to secure these higher-interest loans from private lenders because it has gotten more difficult to obtain financing for anyone with less than perfect credit from commercial banks. 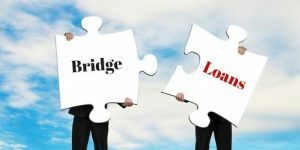 Bridge loans are often short-term loans made to other investors and business owners who need temporary financing and can demonstrate an ability to pay, or occasionally on lease-to-own homes. Investing in carefully screened commercial mortgages and bridge loans can provide you with reliable monthly income with high single-digit and even low double-digit returns, with low risk… provided that the loans are properly vetted and sourced. Reliable:Monthly income payments may come directly from the company that sources the loans, not the borrower. In some cases, the company that sources and services the mortgages even holds a secondary interest to assure your best interests are represented. Secure:Assets are backed with real-world assets, often secured by first position deeds of trust. Loan-to-value never exceeds 65% and is often lower, allowing for market fluctuations. Properties are valued by experienced professionals and borrowers are also vetted. Limited Risk:Although private investment mortgage funds can provide income for years, the underlying notes are held short-term (usually one year) to minimize risk in the event of a market downturn. And in the case of foreclosure, properties are sold to recoup investor’s equity. Healthy Returns:Private lenders (investors) working with us typically earn a minimum of 7% and a maximum of low double digits, depending on if you are accredited and what is available at the moment that is a “fit” for you. Flexible:Bridge loan notes and funds can be held in a self-directed Roth IRA for tax-free income (within your IRA or in your pocket, if you are over 59-1/2). Funds can usually be rolled over into new loans for continued cash flow. These types of investments offer qualified investors cash flow as well as equity and help real estate investors avoid the most common (and most costly!) real estate investing mistakes, such as limiting themselves only to properties in their local area, not evaluating enough properties before purchasing, not forecasting future costs accurately or managing the properties effectively. 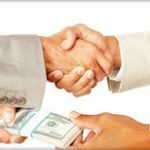 Also called “peer-to-peer lending” or “P2P,” peer lending cuts out the middleman – the banks and credit card companies – and allows people to lend using online websites such as Prosper.com and as LendingClub.com. Returns are generally in the high single digits or low-double digits. Life insurance is not an investment per say, but it is an excellent place to store cash while also providing permanent protection for a family. We are talking about Infinite Banking policies, or specially-designed dividend-paying whole life policies that we have been offering our clients for many years. Life insurance has also become a top asset purchased by banks, known as BOLI (bank-owned life insurance) by the billions in recent years as part of their Tier One assets. Increased life insurance protection is desired. Because death benefits are permanent and grow with time, families with term life insurance are wise to convert their term to permanent whole life policies as they are able. Multi-generational wealth is valued. (There are valuable benefits to insuring adult children and grandchildren as well as yourself). 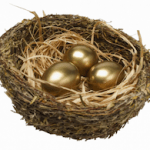 Is it time for you to invest beyond the stock market? Similarly, contact us with any questions about alternative investments that are not correlated to the stock market and that allow you growth and income opportunities.